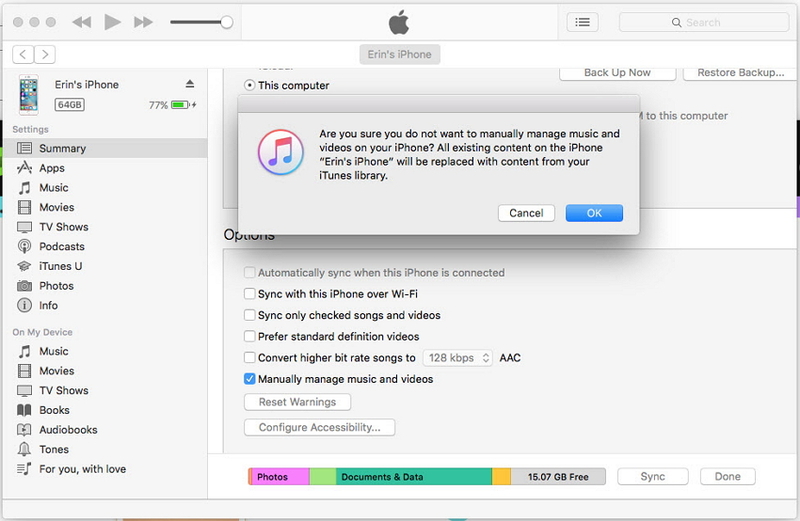 How do I transfer music from iTunes to iPhone? 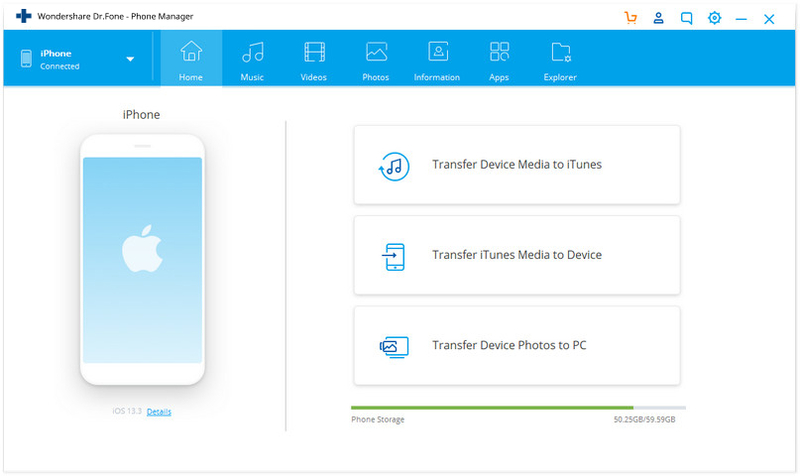 Store huges of songs and playlists in iTunes library and want to transfer to your iPhone? It's not a big deal. You can do it yourself. 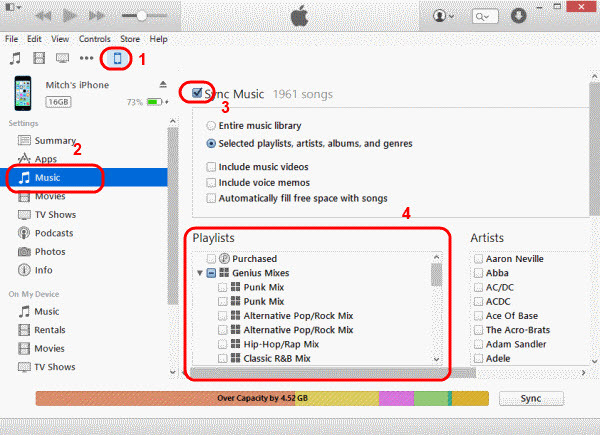 This article shows you two easy ways to transfer playlists from iTunes to iPhone. One is to use iTunes, the other is to turn to an third-party tool for help. dr.fone - Transfer (iOS) is a professional music tool for music lovers, it can transfer music and playlists between any device, manage and organize your music library or iTunes library. It is a very good choice to tranfer playlists from iTunes to iPhone and manage your iOS devices without iTunes. Support all iPhone, iPad, and iPod touch models with any iOS versions. First, install and run dr.fone - Transfer (iOS) on your computer. Use the USB cable that comes with the iPhone to connect the iPhone to the your computer. Choose the "Transfer" funtion, once it's connected, dr.fone - Transfer (iOS) will instantly detect your iPhone. Simply click "Transfer iTunes Media to Device". Check the playlists which you want to transfer from iTunes to iPhone. Then click "Start" to transfer to iPhone. 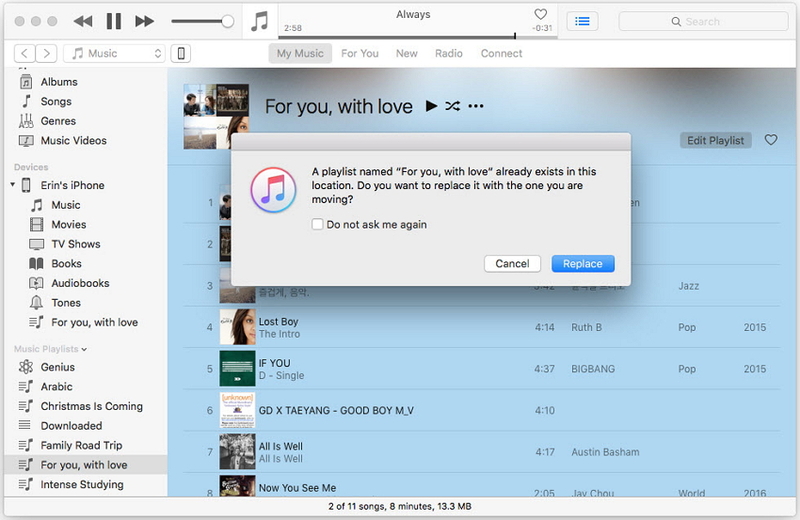 It will begin the transfer of your iTunes playlist to your iPhone. During the transfer, make sure you keep your iPhone connected with your PC. Don't worry about losing music tags and album covers during transfering, dr.fone - Transfer (iOS) can add the losing music informations automatically. You can transfer playlists from iTunes to iPhone via iTunes, but you have to open the manual manage mode first: Settings > Summary > Options > Manuary manage music and videos. Click the “Music” on the left pane. Tick the “Sync Music” check-box. Check the playlists you wish to sync. 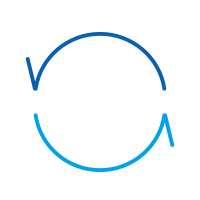 Select “Sync” and your playlist should sync. select the “Sync Music” check-box under device icon > “Music“. Click the music note icon located at the upper-left portion of the screen. 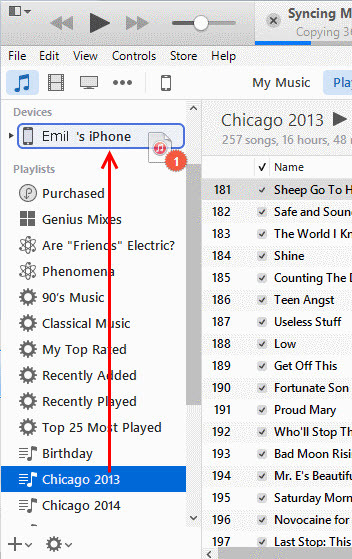 Check the playlist(s)you wish to sync, then drag them to your device listed in the “Devices” section on the left pane. They will then sync to your device. Note: If you drag a playlist which has existed in your iPhone to your device, it will be replaced to the one you are moving. Wanna to know how to transfer Mp3 to iPad? 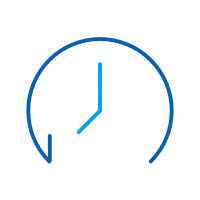 This post introduces how to transfer MP3 to iPad,and offers top 3 helpful ways for the users to finish the task. iTunes error 7 is very disappointing and a headache. If you ever suffered from this iTunes error 7 problems and want to get rid of it,here are some quick solutions for you. Forgot my iTunes password again! Now, what should I do? How do I reset iTunes password? We have the answer to all the above questions for you. Did iTunes ever come across as difficult to use to you? 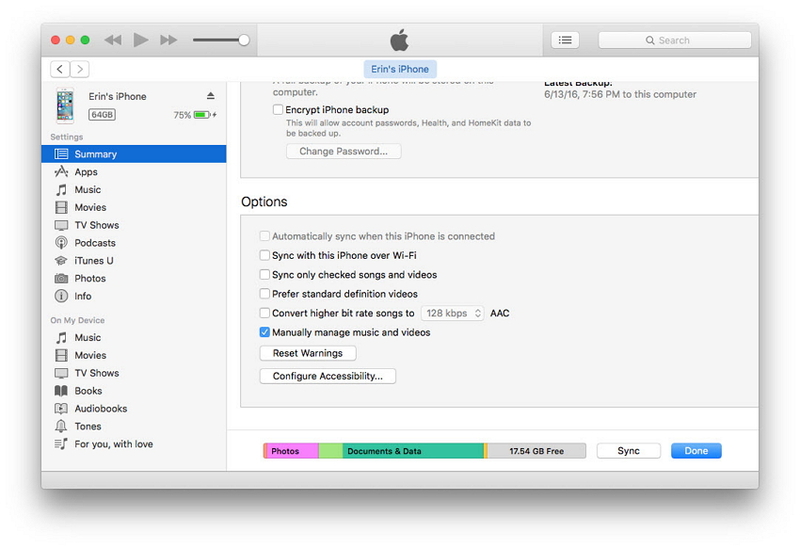 Don't worry, we are bringing you the top 5 iTunes backup managers. Check them out! If you are one of those people, then you have landed at the right place because this article would discover the solution to this problem.